Find My Workspace lists over 95% of the business centres market in Olney. Simply click Request Quote to check pricing for one office, or Add to Basket for multiple offices. One to eight-person serviced offices, a meeting room and flexible hot desks to hire, all in a beautiful period building on West St, Olney. Shared kitchen area and the offices have superfast internet connection and telephones can be provided (at extra cost). Utilities (heating, electricity & water) included and shared areas cleaned weekly. 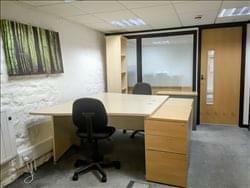 Friendly communal working atmosphere with furnished or unfurnished offices available.